Our custom heavenly cushions and pillows are handmade by professional sewing artisans at our in-house studio in Gardena, California. Each cushion is uniquely designed with top construction for premium comfort and durability. Choose from hundreds of colors and designs to perfectly match your unique decor aesthetic. Our friendly staff makes it simple to order replacements for your existing furniture or for any of our designs. 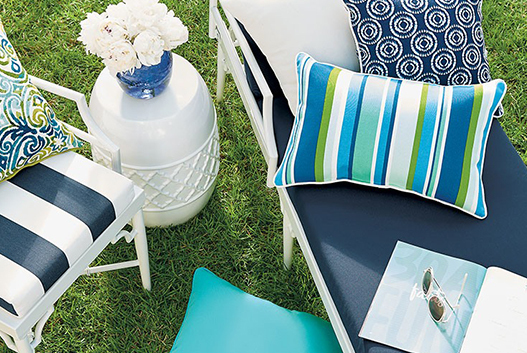 Attention to detail is the reason why Patio Heaven is considered one of the top providers of cushions and pillows in the residential and hospitality industry.